Through the history of our existence, humanity’s lifespan has continuously increased. This has been the result of multiple improvements in sanitation, health care, housing, education and many more. 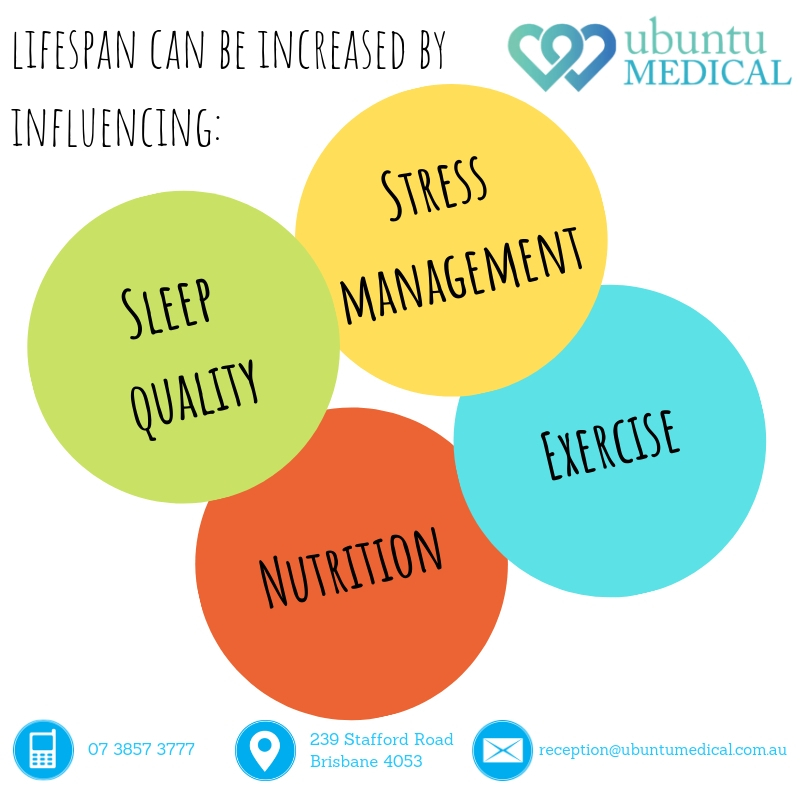 However, in a country like Australia where such services and factors are provided at such a high quality, what more can we do to ensure continued increase in our life expectancy? What is a longevity/life expectancy? Longevity or life expectancy is the average measure of the duration (in number of years) an individual or organism will live. For example, in Australia, the average life expectancy for males is 80.40 years, while females have the average life expectancy of 84.50 years. 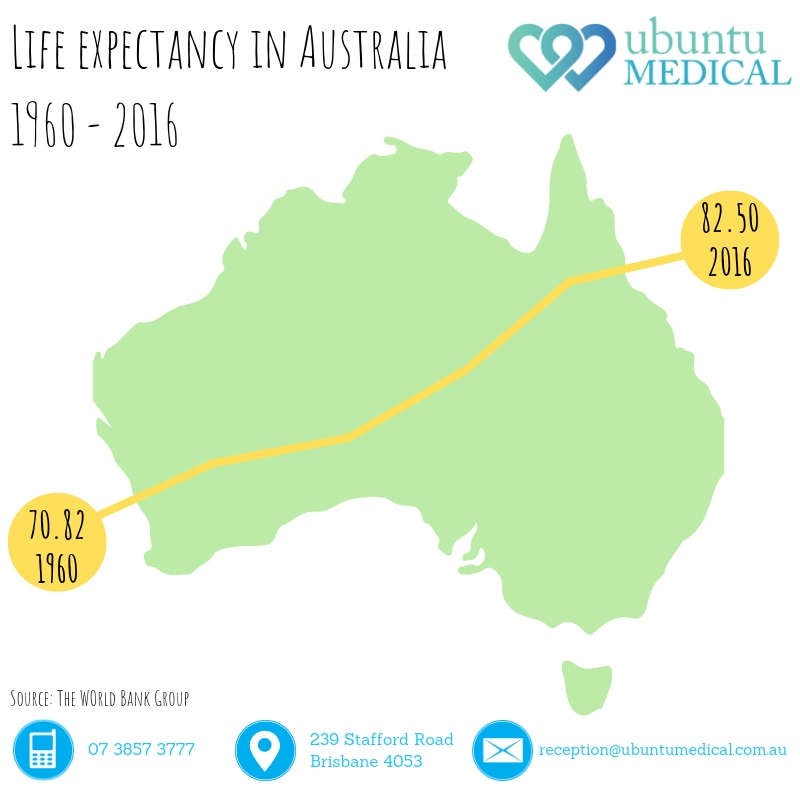 In the last 50+ years, the average lifespan for an Australian has increased from 70.97 years to 82.50 years. 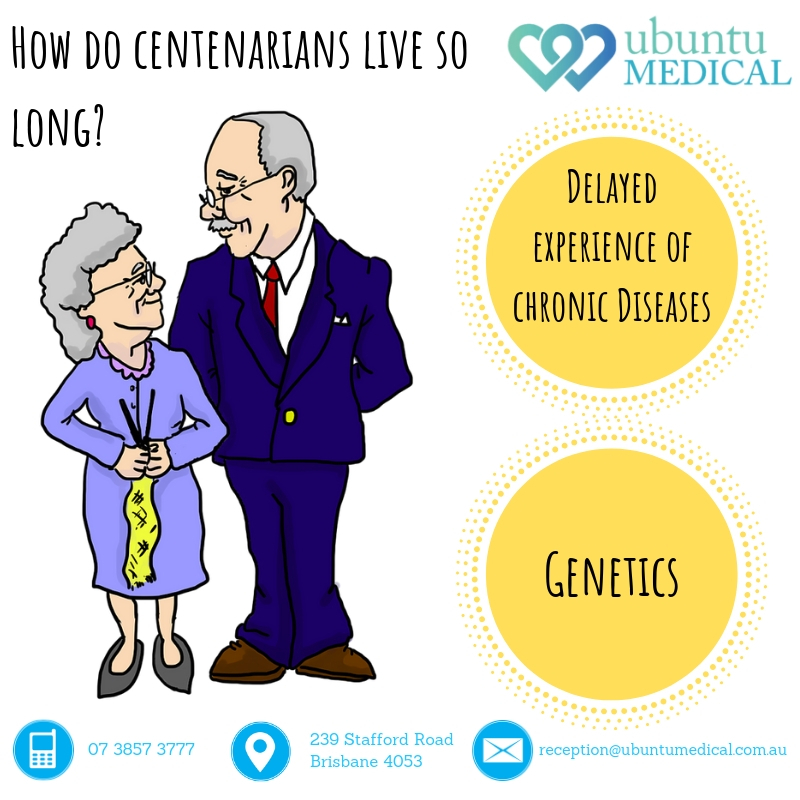 Who are centenarians and how do they have such a long lifespan? 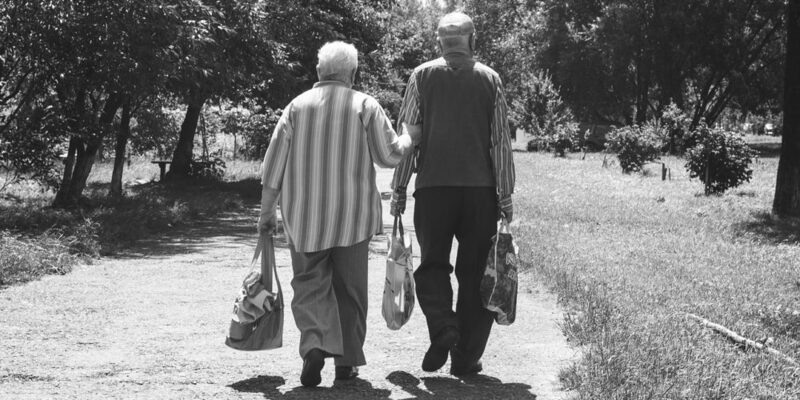 By definition, centenarians are people that live for hundred years or more. With global average life expectancy of 82 years old, what do centenarians do different that allow them to outlive an average human being? They experience chronic diseases at a much later stage and this is because of healthier lifestyle choices. How can you increase longevity/life expectancy? Eating more healthy foods high in nutrients and less processed foods filled with sugar and unhealthy fats, all in a balanced diet will provide adequate fuel and energy to the body. Regular exercise can help improve body composition by increasing muscle presence and reducing body fat. Getting deep sleep for 7 to 9 hours will put the body to rest allowing it to be better at making all required hormones for the body, along with keeping your brain healthy and active. Stress needs to managed efficiently by, firstly, being able to identify stress and then, secondly, applying methods/techniques to eradicate it. Want to start taking steps to increase your lifespan? Our friendly medical staff will happily discuss with you and will be happy to assist you with positive modifications you could bring to your lifestyle. 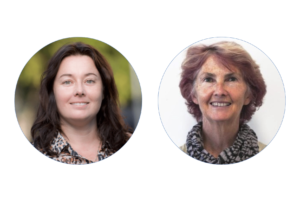 You can consult our our GPs: Dr. Julie O’Connor, and Dr. Kathy O’Sullivan, who can provide you with further information.